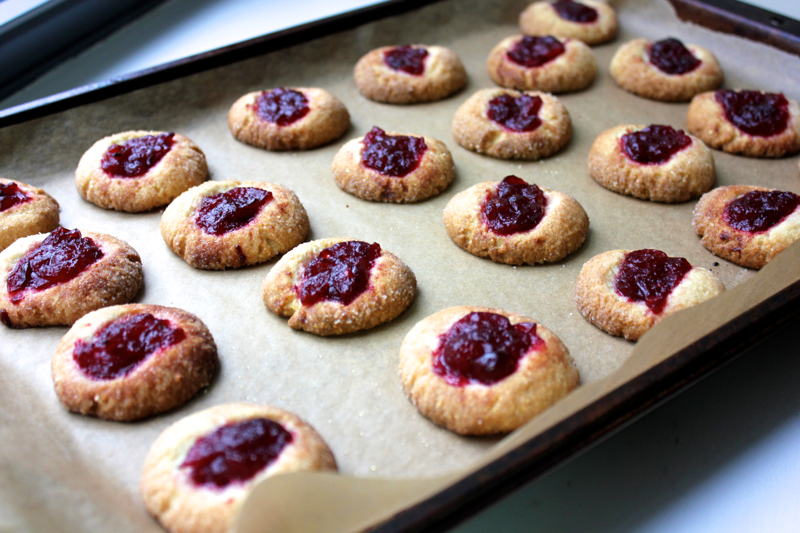 I know this sounds totally crazy, but I filled these thumbprint cookies with leftover curried cranberry sauce. I know it sounds insane to put something that has onions in it on a cookie. It’s madness. But the combination turned out to be really delicious. I crave these cookies. I can’t pass by the kitchen without snagging one. 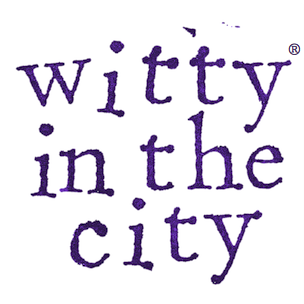 The mild sweetness of the cookie is pierced by the cranberry sauce’s tanginess, and the curry undertones add a welcome, interesting dimension of flavor. 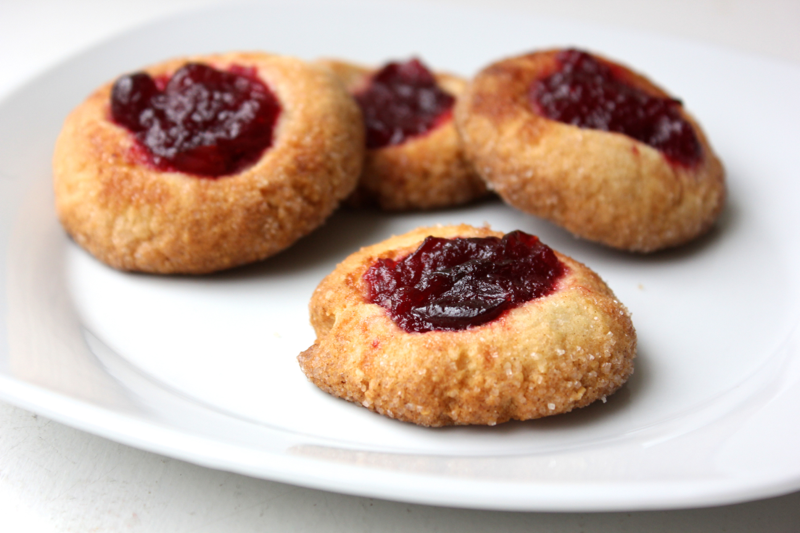 I still feel weird about serving these cookies to a group (because I don’t want people to think I’ve gone off the deep end), so you can also fill them with any kind of jam, even though it will probably lack the cranberry sauce’s sour zap. But enough about the filling, this cookie is delightfully sandy, buttery, and nutty, with a hint of salt and a pleasant crunch of sugar. It’s a winner. 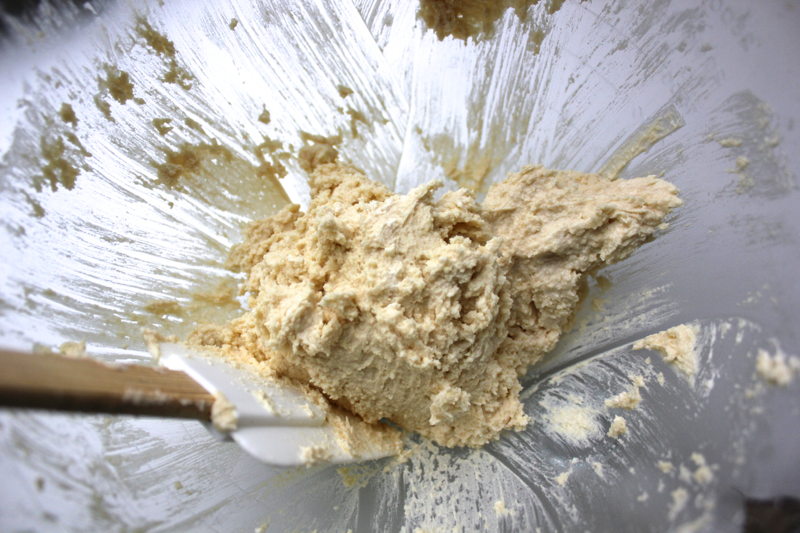 To make enough cookie dough for about 24 cookies, add 1 stick of room-temperature butter and 1/4 cup of sugar to a bowl. 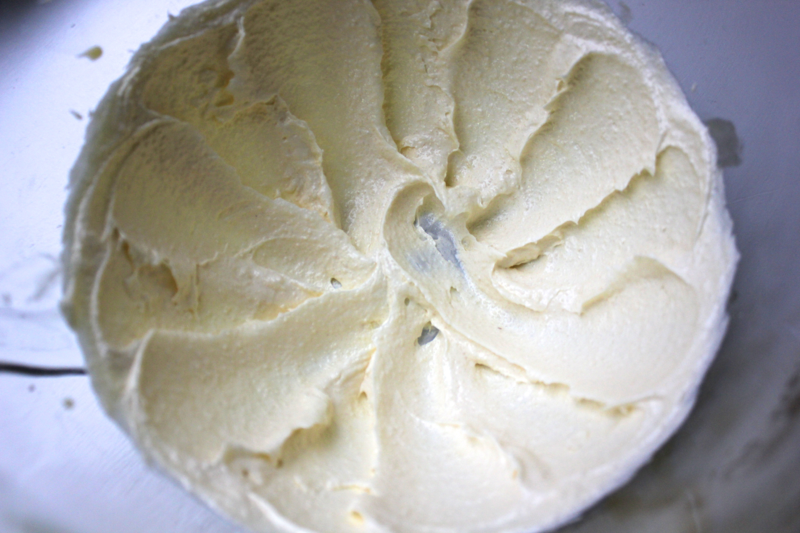 Use an electric mixer to beat the butter and sugar for 4 minutes until they take on a uniform, creamy consistency. Whenever recipes say to cream butter and sugar together, I have never done it for 4 whole minutes, and my cookies have never come out this good. It’s a revelation. I’ll beat my butter to a pulp from here on out. Crack 1 egg into a small bowl, and whisk it together. Pour half of the whisked egg into the mixing bowl along with 1/2 teaspoon of vanilla extract. Beat the mixture for another 2 minutes until the mixture is thicker and fluffier. To a separate bowl, add 3/4 cup of all-purpose flour, 3/4 cup of almond flour (aka ground almonds), 1/2 teaspoon of baking powder, and 1/4 teaspoon of kosher salt. Whisk those ingredients together. 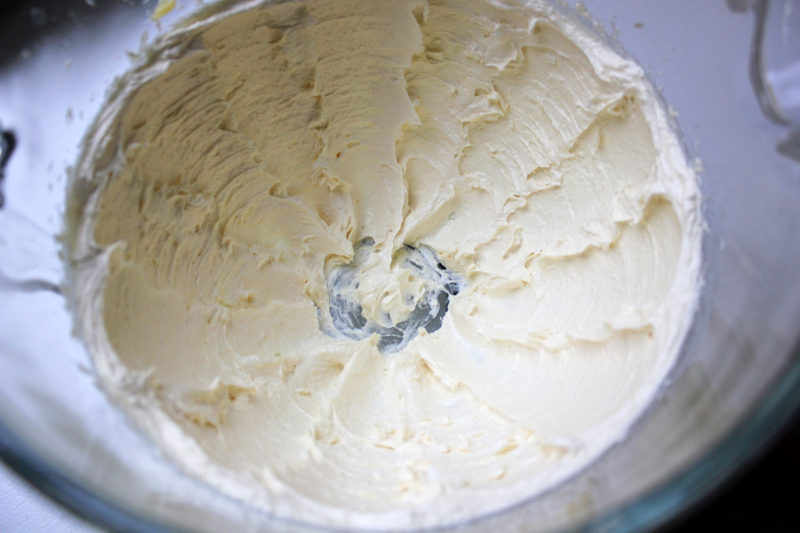 With the mixer running, slowly add the flour mixture into the butter mixture, and combine them, making sure you scrape the sides of your bowl. 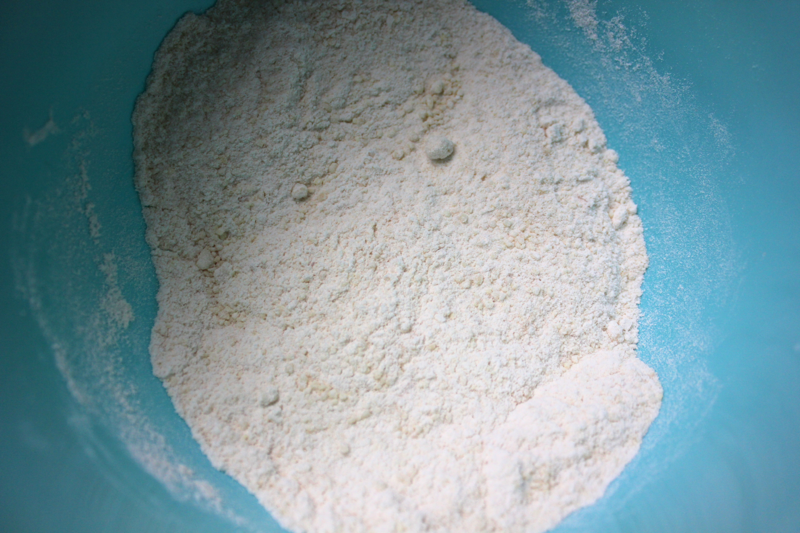 Put the bowl into the refrigerator for about 1 hour so the dough can chill and become moldable. Once the dough has chilled, preheat your oven to 375º F. Scoop the dough into tablespoon sized balls, and place them on a baking sheet lined with parchment paper. Pour 1/4 cup of coarse sugar into a small bowl. Take each ball of dough, and roll it between your palms until it is smooth. Then, put the ball of dough into the bowl of sugar, and roll it around until it is lightly coated. Put the ball of dough back on the baking sheet, and use your thumb to make an indent in the ball. Fill the indents with the cranberry sauce or jam of your choice. Bake the cookies for approximately 11 minutes, rotating the pan around half way through, until the cookies are golden brown. Allow them to cool slightly before removing them from the pan. The almond flour in these cookies lends them a delicious flavor and a nice texture. They are crisp and crumbly and perfectly sweet. If you’re feeling adventurous, go for the curried cranberry sauce filling. Call me crazy, but I loved it! This recipe is adapted from the December 2013 issue of Bon Appetit magazine. 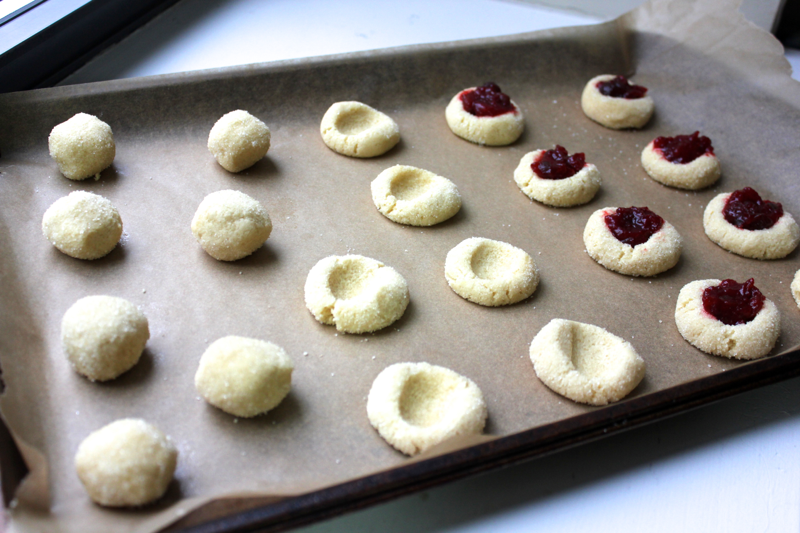 I’m making thumbprint cookies this weekend too. These look great, and I’m glad to know that you can use whatever kind of jelly you have – even if it’s more savory. Great idea!